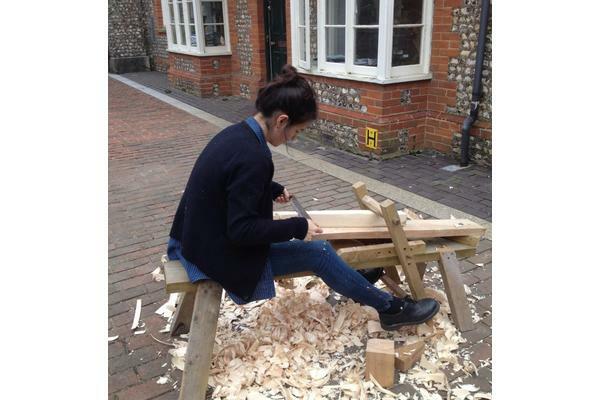 Here in the furniture department at West Dean, we all share one workshop, but we attend different classes and lectures according to what course we are on. Some of us are on the furniture making course, some are studying for a foundation diploma and the rest are on the furniture conservation course. 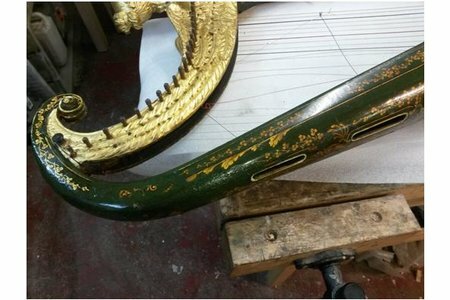 I am one of the furniture conservation students. Once in a while though, we all get together for one big class. Such was the case when we were scheduled for a three-day course called "Working Green Wood". I knew nothing of it beyond the assurance that (despite my name), it was not about me personally, and, that it would be held outdoors. On the day of the class I was at my bench shaping a very small piece of veneer with my scalpel. I looked out the window and saw our tutor Tristram setting up for the class. He was sorting out sledge hammers and hatchets. I looked down at my scalpel with its thin 10a blade and thought: well, if nothing else this will be a study in contrasts. We all put on our coats and went outside to find Tristram standing next to a large number of logs - this was the green wood. 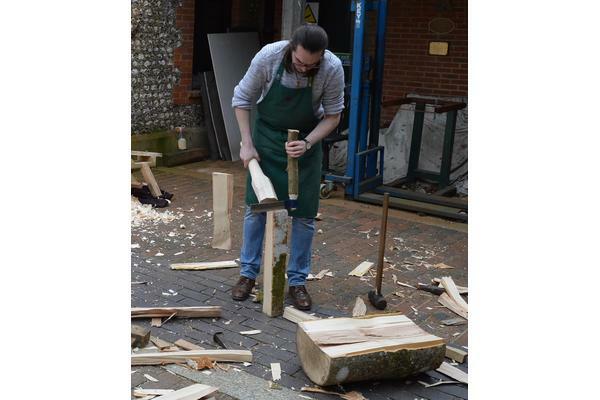 The wood came from a newly-cut ash tree, right here on the West Dean estate. 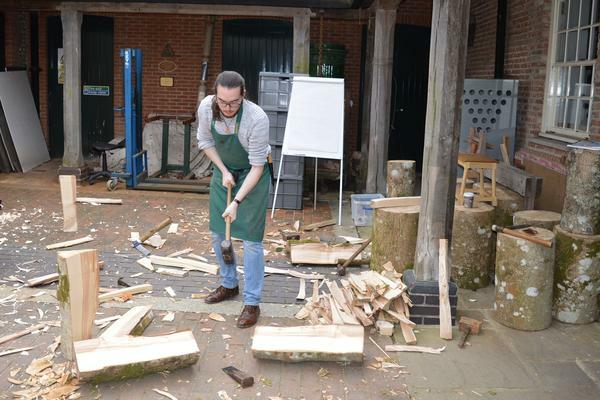 But, he further explained, the main thing was to learn how to prepare and dimension the stock for joinery using 17th century methods and tools in order to more fully understand the historic craft. I noticed the furniture makers and a few conservators getting excited. Tristram then took an iron wedge, tapped it into one of the logs, gave it a big whack with the sledge hammer, and it split in half cleanly. Kudos to Tristram. But also kudos to the ash log for being nice and straight-grained. We all had a go at this and found it very satisfying. We continued with the wedge and sledge hammer until we had quarters. We tried to split the quarter pieces so the grain was even, meaning the growth rings are perpendicular to the face. At this point, we started to examine the wood to see where the useful pieces would be. We became aware of knots, grain direction, and twists. Some pieces split predictably and others did not. 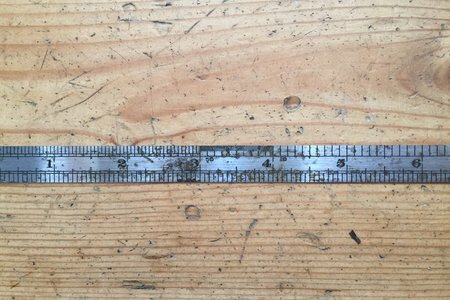 What followed was a series of steps using various antique tools. The underlying idea was that each tool was used to its limit before moving on to the next. 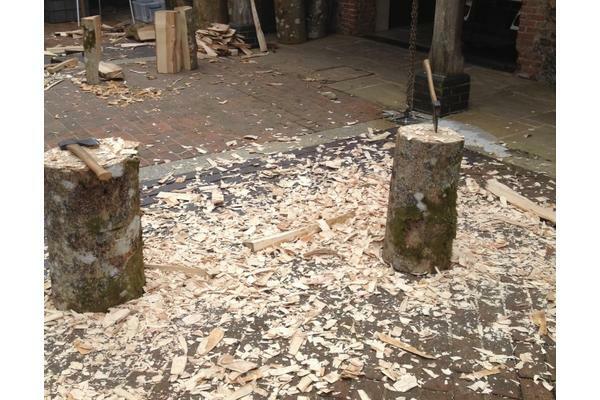 A froe and froe club were used to rive, removing the bark and roughly reduce stock size. The froe was working well for me until it got stuck. Someone said, "You have to move it around to loosen it". "Which way?" I asked. "TO AND FRO!" several people shouted. Next was using the hatchet to hew the stock. The idea was to make some small angled cuts and then knock them out with a longer stroke. We then moved on to the shaving horse and draw knife. Most of us had never used (or seen?) either. On the horse, the wood was held in place by a clamp operated by the feet. 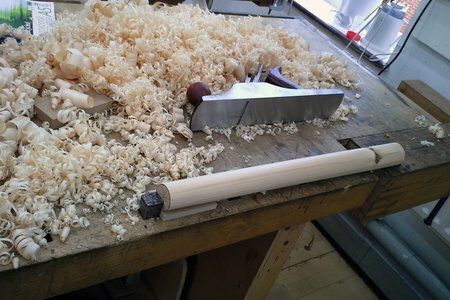 Then the drawknife was pulled towards you to begin to flatten and square the stock. 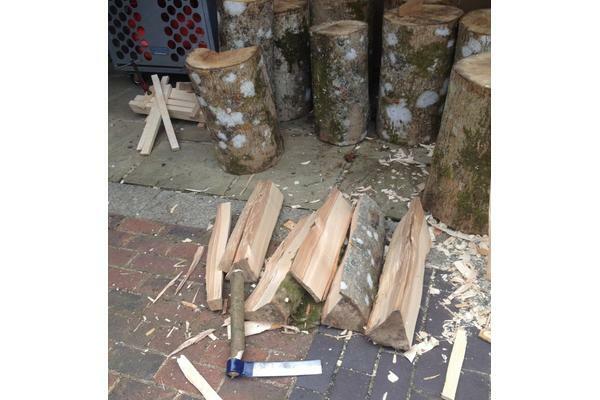 It went against all of our woodworking training to use a tool with the (big) sharp edge coming towards you. Students walking by would inevitably look worried and say, "Are you sure you are doing that right?" But it was very efficient and was one of the favorites. In fact, it was hard to get some people off the horse. We all felt more at home with the next stage, which was planing. All the planes had wooden bodies. We first used a scrub plane. The plane blade is convex, allowing large thick shavings to be made. The characteristic scooped plane marks are often visible on period surfaces. 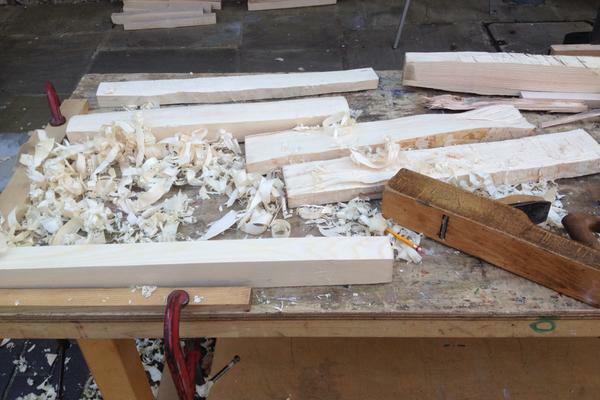 We then moved onto jack and smoothing planes. 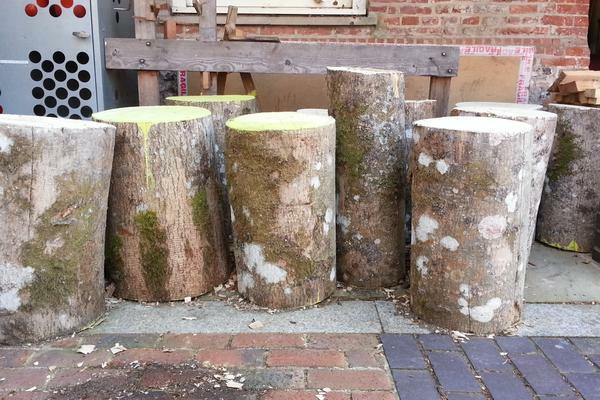 We were turning the ash tree into usable timber. At this point our group would diverge. Some would begin to cut the pieces to length and mark them out for joining using mortise and tenon joints, perhaps to make a simple frame. 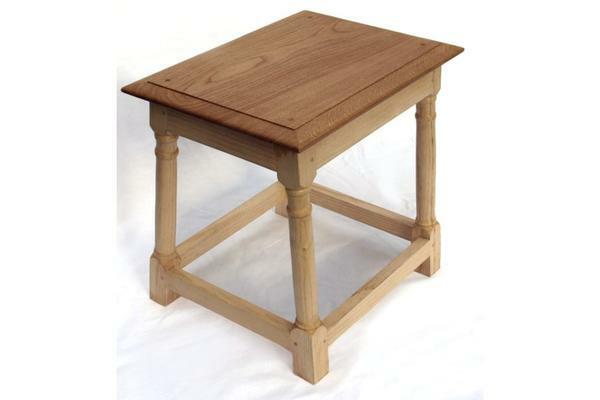 Others (the "makers" definitely) would continue on until a complete stool was finished. 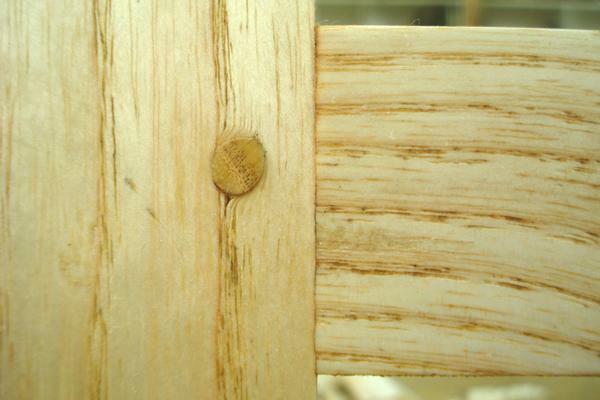 The mortice and tenon joints were draw pinned together. The process of draw pinning is crucial to the strength and longevity of the joint. No glue was for these joints during this period as it would have been superfluous. After a tight joint was achieved a hole was bored through the leg with the rail removed. The rail was then inserted and the location of the hole marked on the tenon. The tenon hole was then bored but slightly off-set a couple of millimeters closer to the tenon shoulder so that the wooden pin would draw the joint further together. 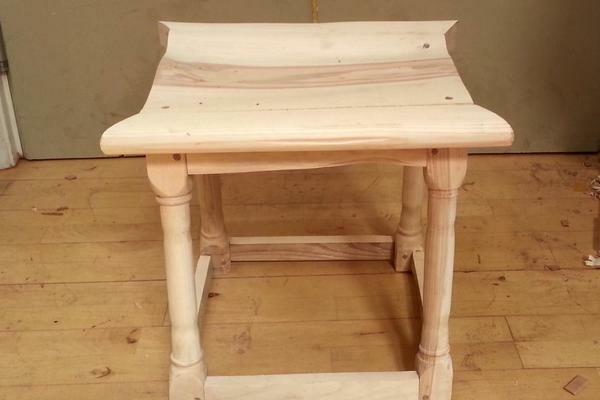 Here is Andy's stool below. 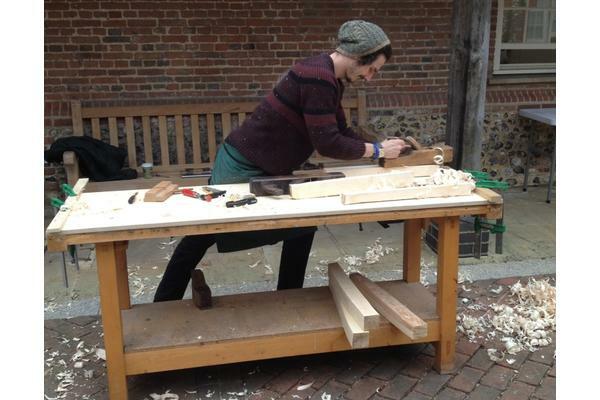 Andy is a furniture maker and designer, so could not be restricted to 17th century aesthetics! Our Programme Tutor Norbert has a German phrase he likes to use: "begreifen". It literally means "to grip", but can also mean to grasp or gain understanding of an object by handling it. 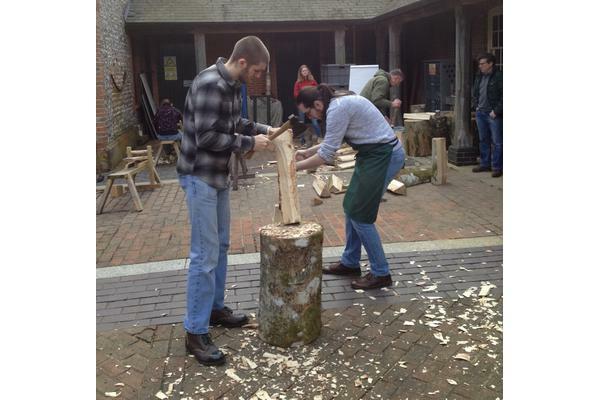 By handling a log fresh from its source - splitting it, feeling the grain, smoothing it, wrestling with the knots and twists - we all gained a truer understanding of wood.